These are photographs of Robert William McNown, 1838-1912, and Elizadah J. Davis McNown, 1838-1899. They were married October 1860. They had three children, Isaac Redskum, Chester Milton, and Ama Jane. Robert William McNown followed his brother Isaac Aldebert McNown to Kansas where they settled southeast of Wichita, Kansas. 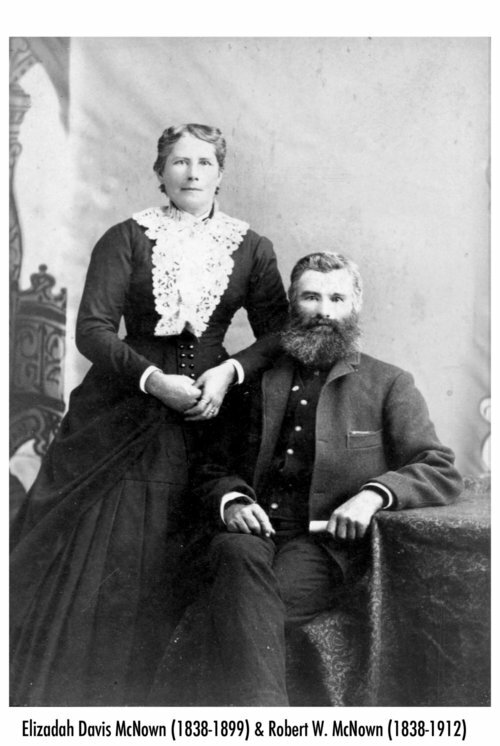 Robert William and his family later moved to the Black Hills of South Dakota and finally settled in Walterville, Oregon.